Brought to you by Yoga to You PDX and Turtles Yoga & Wellness, this Stand Up Paddle (SUP) yoga class is designed for all levels of yogis and paddlers. No experience is necessary. 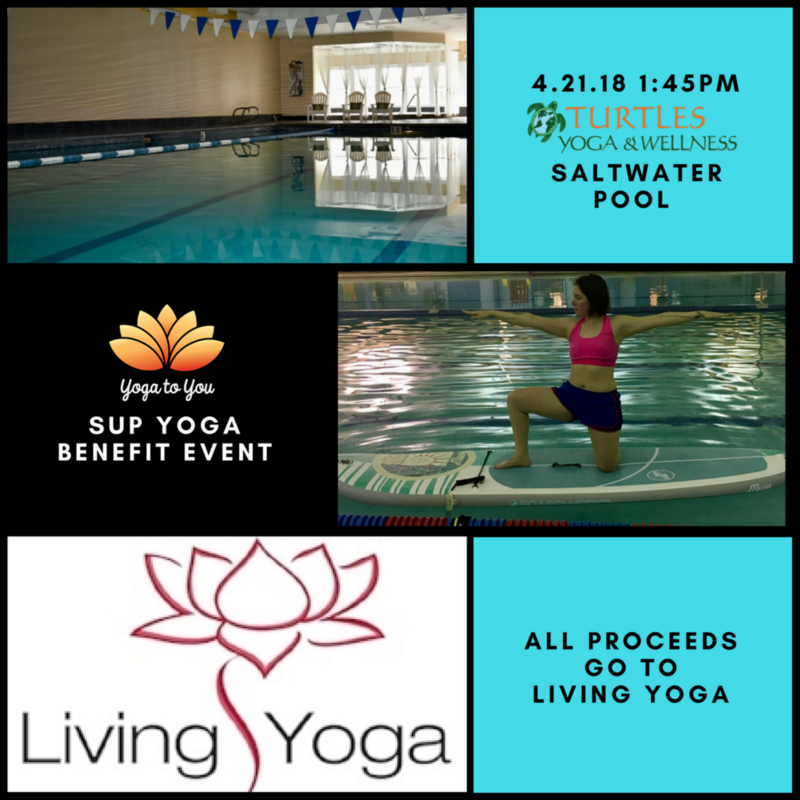 Class will take place in a heated, indoor saltwater pool at the Turtles Yoga & Wellness yoga studio in Beaverton, Oregon. Our experienced SUP yoga teacher will guide the class through a lovely meditation, gentle postures designed to increase your stability, and eventually transition the student into standing postures on the board at their comfort level. Class will end with savasana or meditation. Participants are required to be 18 years of age and must be able to demonstrate adequate swimming abilities. This is a benefit event and all proceeds go to Living Yoga, a local non-profit organization that donates time and yoga services to children, youth, and adults who have been marginalized by the system and who have been impacted by trauma. Registration is required to attend this event. Space is limited, so please sign-up quickly. Suggested donation is between $40-50 per person. Please bring cash or a check payable to Living Yoga on the day of the event.